"You ought to be along. R.M." reads the note on the front of this postcard. It was mailed from Lincoln, Nebraska, to Mr. Elmer Meyers in Railroad, Pennsylvania (here in York County) in August 1907. 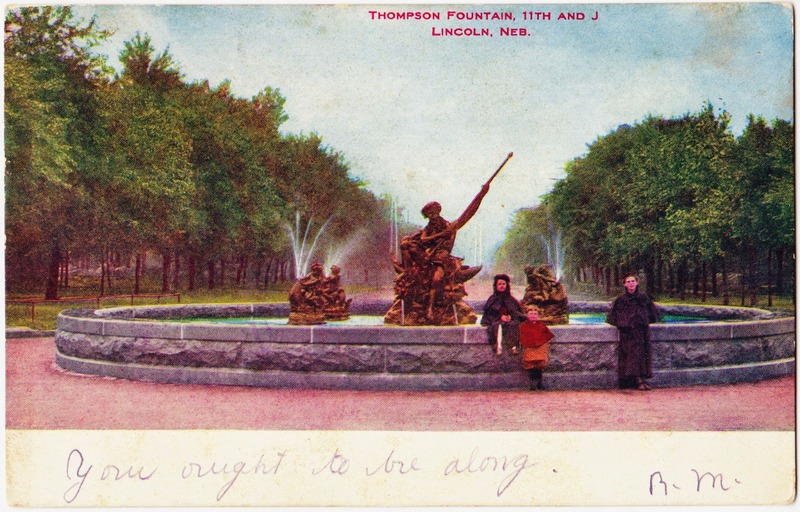 Pictured on the front of the postcard are three people standing in front of what is labeled as the Thompson Fountain at 11th and J in Lincoln. "Two readers, Dave and Eric, recalled that a fountain once stood in the middle of 11th and J Street at the turn of the century. Sometime later in the automobile age it was retired to Antelope Park where it still resides (although no longer as a fountain) on the grounds of the Children's Zoo. I think we can safely say that the intersection of 11th and J Street was Lincoln's first roundabout, as he fountain would have caused the intersection to function as such." "[The fountain] was a gift of D.E. Thompson, the U.S. Ambassador to Brazil at the time. He was appointed ambassador in 1902, so the fountain was probably placed between 1902 and 1906." 'One of these objects is the fountain given to the city by the late E. Thompson thirty or so years ago. It was placed in the center of 11th street a few blocks south of O. As Lincoln's herd of automobiles grew to thundering proportions city officials realized that the fountain, very suitable in the days when ladies nodded to each other across it from phaetons and victorias moving on either side, must be transplanted. After a number of accidents, some of them truly tragic, the fountain was taken to the park. Neptune, on one side, had been permanently crippled and the water nymph on the other was doubtless aged in spirit.'" 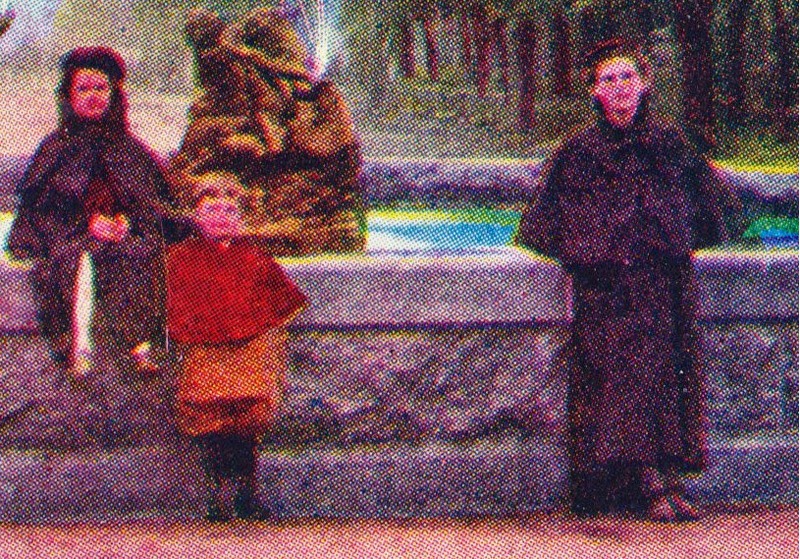 I doubt, however, that we'll ever be able to solve the mystery of who these three individuals in front of the fountain are.